First established a Nederlandsh-Indische Bierbrouwerijen in Medan in 1929, the Company was operating a brewery in Surabaya before it built a second brewery in Tangerang in 1972. In September 2013, HEINEKEN International B.V. from the Netherlands returned as the majority shareholder of the Company when it acquired the shares held by APB. 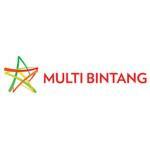 Multi Bintang is synonymous with Bintang beer, the iconic and most favorite beer brand of Indonesia. 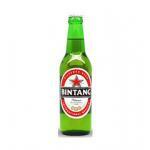 Offering a portfolio of beer and soft drinks brands, Multi Bintang also produces and markets the world’s most valuable international premium beer brand, Heineken; alcohol-free beer, Bintang Zero and carbonated soft drink, Green Sands in Indonesia.